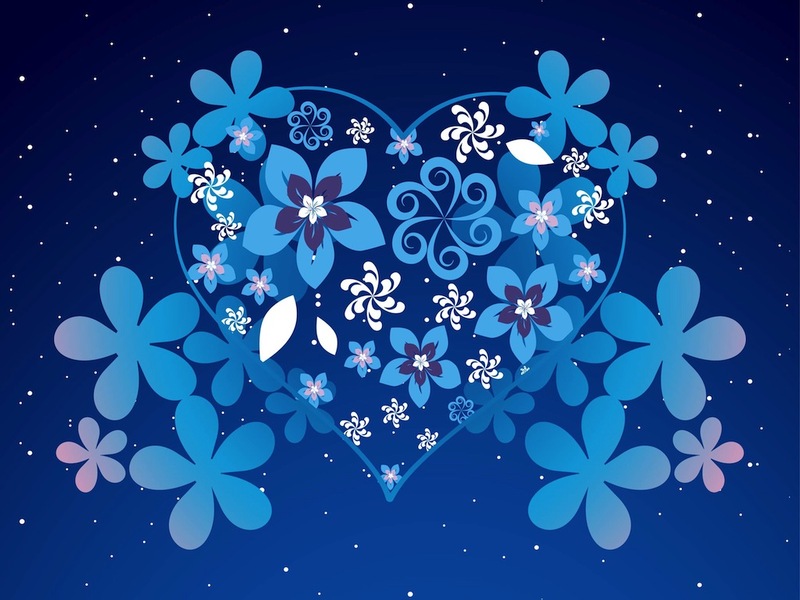 Romantic vector graphics of a big heart filled with blooming flowers. Thin outline of the romantic shape and many different species of flowers inside it. Various sizes, colors and shapes of the petals on the blooming flowers. Floral silhouettes and small dots decorating the rest of the free vector image. Tags: Floral, Petals, Plants, Romance, Romantic, Spring, Valentine’S Day.